We’ve all had a paper cut or a stubbed toe at work, but what should you do when something serious happens? In 2016, almost 3 million people were injured at work. 1/3 of these were serious enough to keep people from working the next day. This article will walk you through what to do if you’re injured at work and the steps you can take to make sure you’re medically covered and paid. Since we spend so much of our time at work these days, it makes sense that more accidents may happen. What types of accidents happen most often? This list is in order of the most common to least common. If you are injured in any of these ways, you need to follow these steps. After anyone is injured at work, their first thought is and should be getting help. If you’re injured at work and it’s an emergency, call 911. If your injury is not severe, you will have to go to a doctor approved by your state’s Board of Workers’ Compensation. Most employers can tell you what clinic or doctor employees should go to if they are injured at work. Most employers have to carry workers compensation insurance. The only exception is if they have less than 3 employees. Because of the insurance rules, your employer might be a little picky about where you go for treatment. Your workplace has to let you know if you have to go to specific clinics or doctors for exams and tests. Just to be safe, it’s a good idea to ask though, just to make sure there’s no confusion. Your employer may tell you that you can go anywhere for an exam or specific tests (MRI, blood tests, CT scan, etc.) because their worker’s compensation insurance will pay for it. If you’re supposed to go to a specific place, but they don’t tell you, your employer will still be responsible for covering the bill. If you ever run into a disagreement with your employer about this after you’ve gone to a doctor, you should contact a lawyer. You can view here for more information on attorneys. When you go to the doctor, you may be required to sign a form. This form typically says that if the Board of Workers’ Compensation denies your claim, you will be responsible for paying the medical bills. It also says that if you do not follow up on your claim, you may be responsible for your medical bills. This form is basically to prevent people from faking injuries and skipping out on doctor’s bills. Once you’ve gone to the doctor and are stable, make sure you notify your employer. Don’t just tell them either. You need to put it in writing. There may be some cases where you think your injury is not severe enough to need a doctor. Even if that’s true, you must report it to your employer. Then if the injury gets worse, you’ll still be eligible for your workers’ compensation benefits and medical bill coverage. If you don’t tell your employer within 30 days of the injury, you might lose your workers’ compensation benefits. Your private insurance may also refuse to pay your medical bills because it was a workplace accident. Your workplace may also have rules about reporting accidents. Some employees are written up, suspended, or even fired for not reporting accidents! 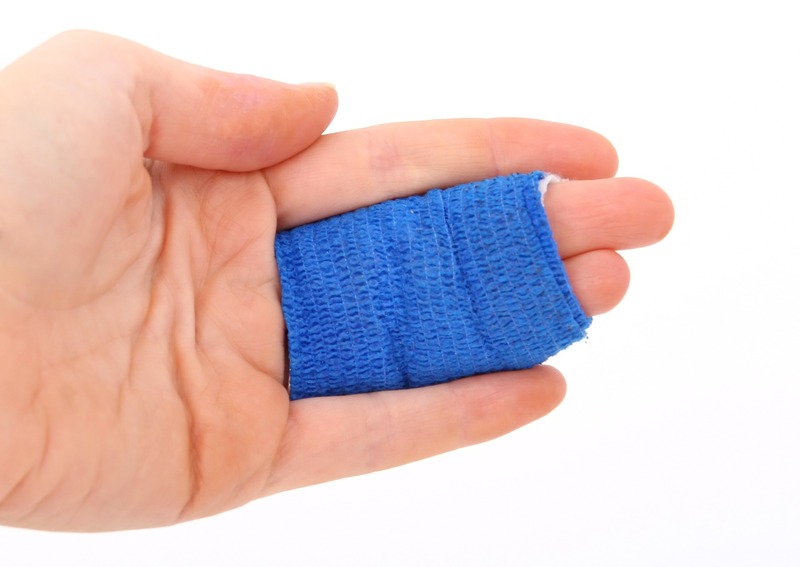 For these reasons, you must tell your employer you were injured at work! Your next step after informing your boss is to complete a form and then focus on recovering. Complete a worker’s compensation form such as this one from Georgia and send it to the Board of Workers’ Compensation. This has to be done within two years of the accident. If you are disabled over a period of time, you have to notify the board based on the date you knew you had a workplace injury. This might be a doctor’s diagnosis of carpal tunnel syndrome. That means you have two years from the diagnosis, not two years from the first symptom of a long-term problem. After you’ve sent in your paperwork, your goal is to get better. You may need to go to your own doctor to get a second opinion. The most important step for you is to follow a doctor’s orders and get well soon. If you’re away from your job for more than 7 days, you’re usually eligible for 2/3 of your regular salary up to $575 per week. As soon as you are able to, you will return to work. If you have long-term issues from your injury, you may have to do a different type of work, but you still have to return to your job. Make sure you also attend any required hearings. You don’t want to lose your compensation because you missed a court date. Being injured at work can be a rather complex process, so if at any point you are having trouble, don’t hesitate to call a lawyer. You don’t want your employer or the workers compensation insurance company to take advantage of you. Attorneys can make sure everything is fair and legal. Temporary Total Disability- You are unable to return to work at all. 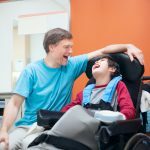 Temporary Partial Disability- You are able to return to work, but are doing a different job for less pay. Permanent Partial Disability- You are unable to ever return to your previous job but can still do some types of work. Talking to a lawyer can help you understand what you qualify for. Now that you understand the process for if you are injured at work, you might want to look at other ways to improve the quality of your work life. Check out this article.